More than 500 individuals who obtained DACA benefits that were later revoked due to criminal and/or gang involvement apparently are still living in the country and at large, according to statistics provided by USCIS to Sen. Chuck Grassley, chairman of the Senate Judiciary Committee. These cases are 25 percent of those who lost DACA status due to criminal and/or gang activity as of November 2017. 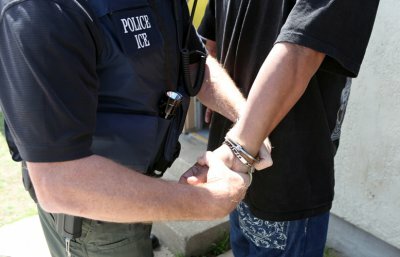 Only about 30 percent of the ex-DACA criminal aliens have been removed or were in ICE custody as of November 2017. According to USCIS, a total of 2,127 individuals had their DACA status terminated for criminal activity and/or gang activity as of November 22, 2017. In no more than 3 percent of these cases did the termination occur merely because of gang involvement; nearly all of the terminations followed criminal convictions or arrests, according to related data on the USCIS website. While it is reassuring that USCIS is revoking DACA benefits for criminal gang members it identifies, it is concerning that almost as many criminal alien DACA beneficiaries have been released as have been removed to their home country. Most of the terminations occurred more than a year before these statistics were compiled. I assume that at least some of the 940 criminals who had DACA but who have not been removed are still in state or local custody serving time, but it is possible, even likely, that some were released by sanctuary jurisdictions, and ICE has not re-apprehended them. USCIS also provided a list of more than 45 gang affiliations of the ex-DACA criminals. It includes some of the most violent and dangerous gangs in the United States, such as MS-13, 18th Street, the Latin Kings, and the Trinitarios. It includes some lesser-known gangs as well, with names like Last Generation Korean Killers and Maniac Latin Disciples. USCIS has not released information on where these gang members were living, but the gang names sometimes identify their location: Oakland 30 Nortenos, Orange County, Angelino Heights Surenos, East San Diego, Inland Empire, Pacoima Van Nuys Boys, and West Merced Nortenos, all of which are presumably in California. Under current law, gang members are not automatically barred from receiving immigration benefits such as green cards, work permits, and Temporary Protected Status, and clearly many have obtained these benefits in recent years. A fix to this loophole should be a non-negotiable element of any bill that gives amnesty to DACA recipients. The bill sponsored by several House Republican immigration committee leaders (including Goodlatte, Labrador, McCaul, and McSalley), known as the Securing America's Future Act, includes a section that would update the law so that criminal gang members would be barred from all immigration benefits, including the DACA amnesty, and be inadmissible and deportable. This fix also is on the White House list of urgent priorities for immigration reform.